The area was originally called Cabramatta an aboriginal word for place of the cobra grub. It was later named Rossmore, a Scottish name refering to high ground by John Dickson a Scottish engineer who was granted 3,000 acres of land here by Governor Macquarie. A number of other settlers received land grants in the area including Barker, Riley, Moore and Bell. The area was initially used for wheat and sheep farming and later for dairying, poultry farming and orchards. The bushranger Jack Donahoe was shot by an ex soldier, Mugglestone on Robert Lowe’s property just south of Bringelly Rd in 1830. Holy Innocents’ Anglican Church, Rossmore, 2007. Copyright: Camden Historical Society. After World War 1 Ashley McCann bought 1,400 acres at Rossmore for dairy farming and named the property Allenby after General Allenby the hero of the 4th Light Horse. 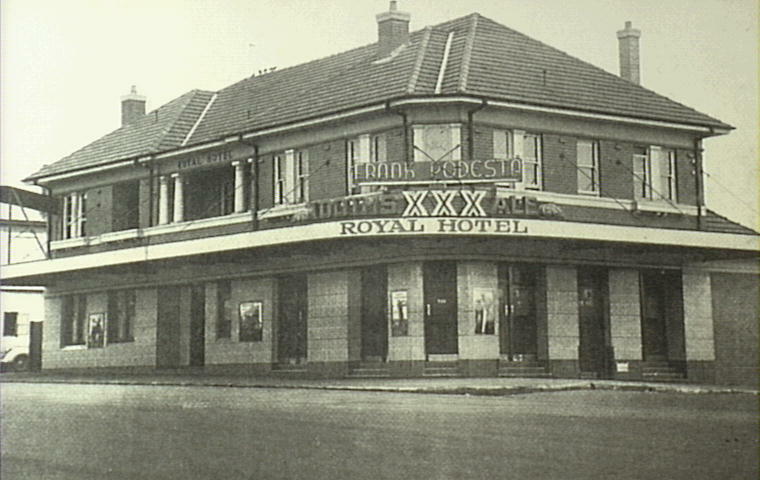 Until 1948 Rossmore was part of Nepean Shire. This local government area no longer exists and was divided between Camden Liverpool and Penrith Councils. The southern third of the suburb of Rossmore is now in Camden Local Government Area. From 1950s the area was settled by immigrants from Europe who established small farms and market gardens providing food for Sydney markets. The area continues to perform this function although large scale development is planned as part of the South West Sydney Growth Area. Spring Farm covers the southern section of John Oxley’s land grant of 1816 and the south-western section of William Howe’s grant of 1818.There were also nine land grants to smallholders along the floodplain in the western part of the suburb. Spring Farm has had a long history of industrial, mining and agriculture activity. From 1930s-1970s there were extensive orchards and vineyards along Springs Road with a mixture of stone fruit, apples and grapes. Another land use has been the production of poultry: chickens for eggs, and both chicken and turkeys for meat. The Tegal family were one of the major operators from the 1950s. Spring Farm, 2008. Copyright: Camden Historical Society. There has also been industrial land use in the area including treatment of nightsoil, sand mining, gas extraction, coal washing and waste facilities. The first urban development in Spring Farm in an otherwise rural setting was in the Ettlesdale Road area in the 1960s. The most recent urban development in Spring Farm comprises a series of urban villages. The area is planned to have around 3900 housing lots.In 2006 the population of the Spring Farm was 287 predominantly made up of young families with 44 per cent of the population under 25 years of age. The suburb will be subject to an increasing number of new arrivals. John Oxley the surveyor general of the colony was granted land in 1815 on the eastern bank of the Nepean which he called Kirkham after his home in Yorkshire. Only Kirkham Stables 1816 remain from this period. Oxley’s son built a flour mill on the estate which operated until rust destroyed wheat crops in 1863. In 1885 James White a later owner of the property built a Gothic Revival styled mansion named ‘Camelot’ by the subsequent owners, the Faithful-Anderson family. In 1811 Rowland Hassall was granted 400 acres in a loop of the Nepean river, west of Kirkham which he named Macquarie Grove. Camden Airport now occupies much of this property and was used in the Second World War as a flight training centre. Camelot, 1983. Copyright: Camden Historical Society. Charles Cowpers’s residence Wivenhoe was built in 1838 and was sold in 1910 to the Catholic Church. It is now the site of Mater Dei School. Kirkham railway station at the bottom of Kirkham lane was a stop on the Camden to Campbelltown tramway to pick up passengers and milk. Remnants of the embankments for the line can still be seen. Interior view of stables at Camelot, Kirkham. c.1995. Copyright: Camden Council Library Service. From the 1990s there has been large block residential development of some parts of Kirkham with a preservation of hilltops and flood prone low lying land. 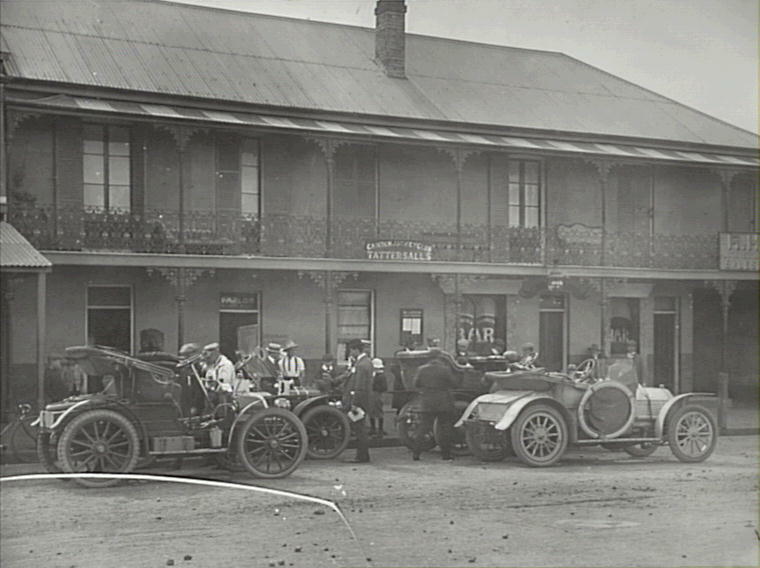 The township of Bringelly was established on land granted in 1818 to William Hutchinson, originally a convict, who later became one of the directors of the Bank of NSW. The area had been earlier settled by Robert Lowe, who built a house called Birling in 1812 on his land grant of 1000 acres. Many other settlers were given land grants in this area throughout the early 19th century, among them D’arcy Wentworth, John Piper and Ellis Bent. A notorious visitor to the Bringelly locale was the bushranger Jack Donohoe, who is believed to have established a number of hide-outs in the surrounds. 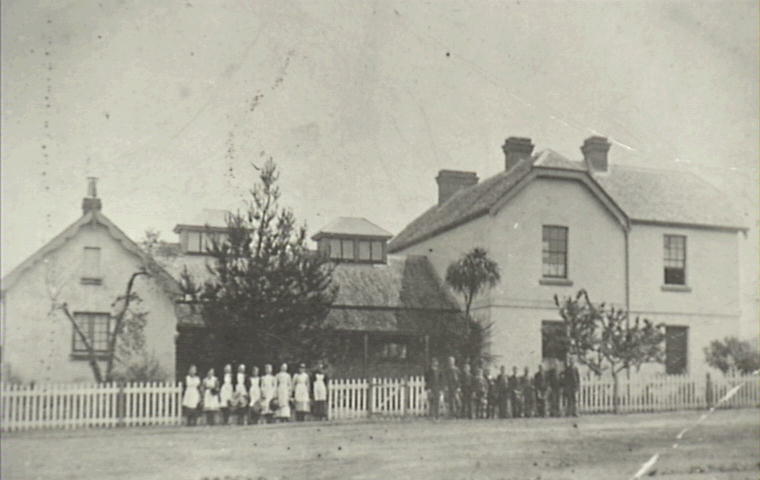 The township was first formally named in 1863. The establishment of a school occurred in 1870’s and was rebuilt before the present school building was erected in 1897. Original school building. 2007. Copyright: Camden Historical Society. Bringelly is situated in an area of open grasslands set within areas of larger bushland, which is a remnant of the once flourishing Cumberland Plain Woodland. It at present contains a mix of agricultural and rural residential land use. Market gardens, dairy farms and other agricultural industries which have acted as a greenbelt and provided Sydney with produce, will soon give way to large housing estates, as part of the NSW State Government’s Metropolitan Strategy. The Second World War was an active time for Camden. Numerous sons, brothers, and husbands were once again sent to fight in overseas conflicts, and many who stayed participated in organizations that had formed during World War One, such as the Camden Red Cross, that again sent aid to those overseas. But WWII left an even greater strain on the developing country. There were serious concerns about who would help feed the country. 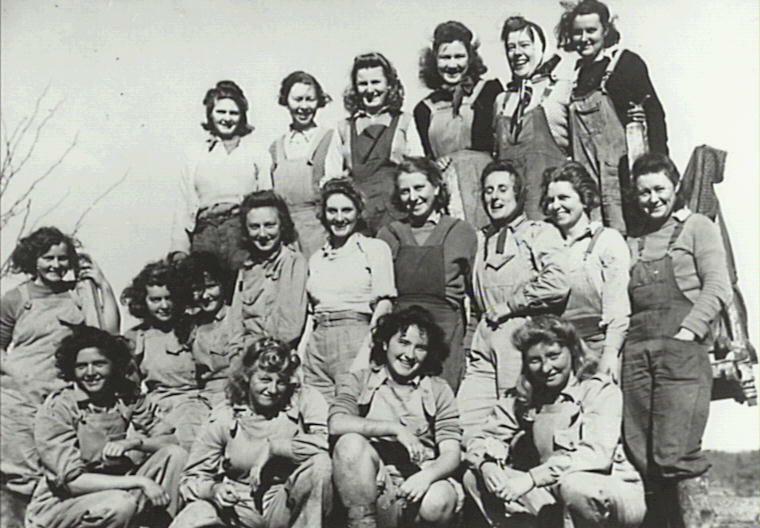 The answer was the Australian Women’s Land Army. 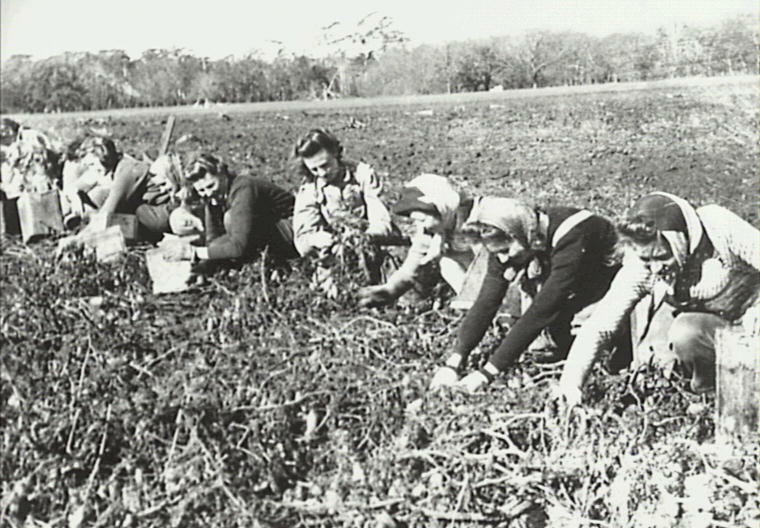 Group of Land Army Girls who were working on Camden Park during World War II. Some names available on back of photo at the Camden Museum. Copyright: Camden Historical Society. It was no small feat to join the Land Army. The 4,000 who joined would be sent all over the country, from the cotton fields of Queensland, to the sheep sheds of Goulburn and the potato fields of Batlow. Accommodation included sheep sheds and hostels, with only a few having the luxury of bedding down in guest houses or Scout halls. Additonally, they received for their efforts £3 per week for a 48 hour week; half the pay of the men who would have done the same work. (Lutton-Midson, 2008). Working on Camden Park during World War II. Copyright: Camden Historical Society. One of the areas where the Army worked was Camden Park. The volunteers came from all around Australia and many went on to marry local men from the Camden area and would stay. Although they contributed a vital service to the war effort, for a very long time the Women’s Land Army went largely unrecognised. It has only been in the last few years that efforts have been made to recognise the significant contribution that the Women’s Land Army provided. The 70th Anniversary saw a reunion of those who served and provided them a chance to reflect and reminisce. It also saw many public figures, including Macarthur MP Russell Matheson and Camden MP Chris Patterson, show the appreciation of a nation for their efforts and tireless work during a time of need (Armstrong, 2012). Despite the difficulties and delay of recognition, it is inspiring to remember that all those who served in the Australian Women’s Land Army were volunteers, united by a single, powerful, selfless notion: “they had to keep the country fed” (Abrahams, 2012). Abrahams, L. (2012). The Women’s Land Army. The District Reporter. Armstrong, K. (2012). Ladies of the Land Army Reunite. Camden Advertiser. Lutton-Midson, B. (2008). Women’s work still unrecognised. The District Reporter. Camden Park Estate is famous for the fine colonial house and the agricultural innovations that spread from the estate across Australia. But the diverse and impressive garden is also of historic significance. The youngest son of John and Elizabeth Macarthur, William Macarthur, was a keen botanist and horticulturalist and established an impressive formal garden around the house. Far from the pedigree of a merino flock or the homogeny of a wheat field, Macarthur’s garden abounded in rich botanical wonders. Baron Charles von Hügel, amateur botanist and close friend of William, was perhaps the first to praise the garden in 1834. He claimed that he had “not seen its equal since I left my own garden” (Mills, 2006). He went on to claim that William was the only person in the colony with an interest in horticulture. 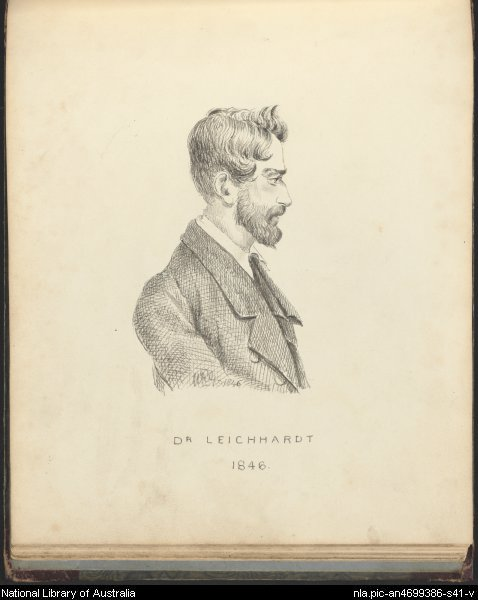 Another early admirer was Ludwig Leichhardt, a German born explorer and botanist. He visited Camden Park in 1846 and complemented the Macarthurs on many aspects of the estate including praises for the garden. He asserted that “there is…no establishment equal to it in this colony” (Wrigley, 2009). Unfortunately, the hard economic times of the 1840s meant that William was placed in the uncomfortable position to “either make the garden pay for itself or give it up” (Mills, 2006). However, this was only a small hurdle to greater botanic and economic prosperity. With word of his expertise and impressive collection spreading through the colony, William started receiving many requests for plants. He published a Catalogue of plants grown at Camden Park, which in its popularity would see four editions. The first edition went out in 1843 and in 1845 he made £150 profit just from this horticultural enterprise, which was a considerable sum in those times. He acquired Leichhardt’s own collection, which added richly to the already impressive garden. Mills tells us that 2 specimens from that collection, a native bauhinia and a Queensland Bottle Tree, are still features of the garden. 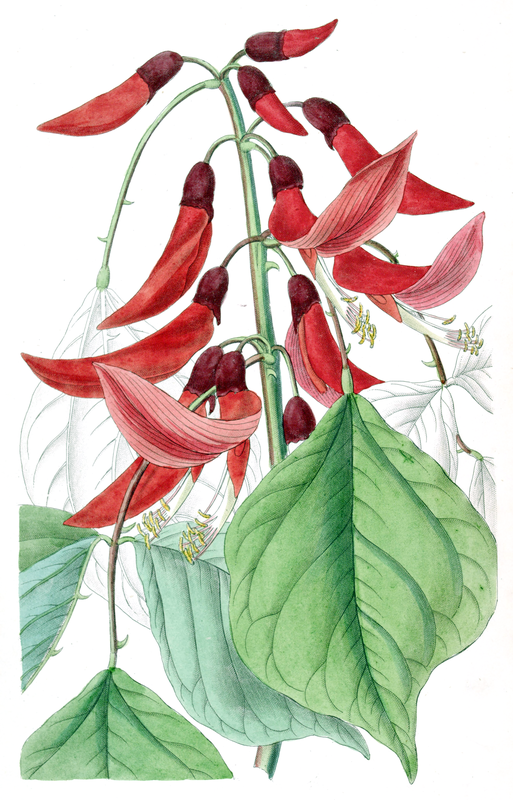 William’s interest did not just extend to breeding a variety of species, but also to hybrids, one of his most famous examples being Erythrina × bidwillii ‘Camdeni’ , a hybrid of Erythrina species. 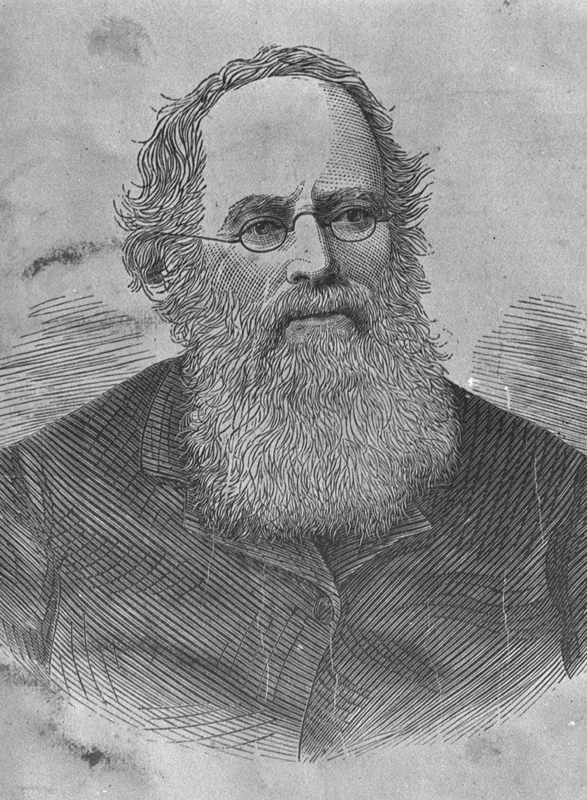 It was his botanical knowledge as displayed with his hybrids as well as the success of his nursery, that helped establish William Macarthur as one of the most active and influential horticulturalists of 19th century Australia. A testament of skill. William Macarthur’s hybrid. Erythrina × bidwillii ‘Camdeni’. Image in Public Domain. The garden has experienced considerable interest in recent years. The tradition of growing has continued with Camden Park Nursery Group, who have taken strong measures to ensure the preservation of this historic garden. Their efforts have been recognised by NSW Government Heritage Volunteer Awards (Goldsworthy, 2012). For those whose interest in history and horticulture require less dirt under the fingernails, Hortus Camdenensis, established by Colin Mills, is a must see. The website catalogues over 3200 plants that would have been grown by William at Camden Park. The garden at Camden Park Estate strongly establishes Camden as not only the birth place of agriculture in Australia, but as a place of horticultural and botanical influence. It reveals an eye to the beauty of the land that was held in conjunction with the agricultural progress for which it has become famous. Goldsworthy, T. (2012). Gardening Heroes. Macarthur Chronicle. Mill, C. (2006). Macarthur’s botanical treasures. Back Then. The District Reporter. Wrigley, J. (2009). 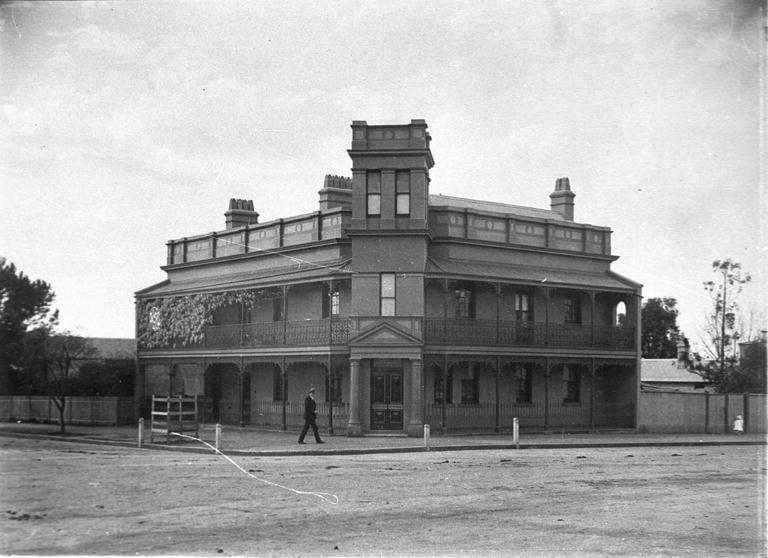 Ludwig Leichhardt stayed at Camden Park. Back Then. The District Reporter. 1919 was a time of both great joy and sombre reflection. The Great War had ended the previous year, and with it people in Camden were confronted with the final confirmation of brothers, sons, fathers, husbands, and lovers never to return. It also greeted many with the bittersweet reuniting with loved ones forever changed by the experiences of the battlefields. The warm welcome home to troops returning from World War I quickly became a greeting of illness. Copyright: Camden Historical Society. 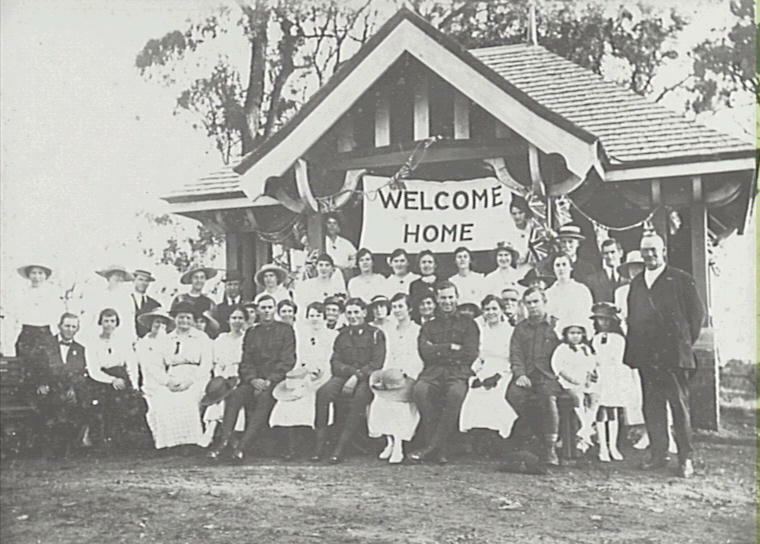 During 1919 many were still coming home. But the warm welcome of the large number of troops brought with it something altogether more sinister. The Influenza Pandemic that started in Europe in January 1918 hit Australia in 1919. The large number of troops returning carried it home to Australia (Nixon, 2005). Numerous measures were undertaken by officials to curtail the spread of the disease. At one point schools, cinemas, libraries, theatres, and churches were closed for a period of 3 months across NSW. In Camden one of the first measures suggested to help deal with the spread was from Council’s Nuisance Officer (who was in charge of things like sanitation). His suggestion was for people to cease kissing when they greeted others in public areas like train platforms. Council deemed it an absurd action and sought more practical solutions (Sidman, 2014). 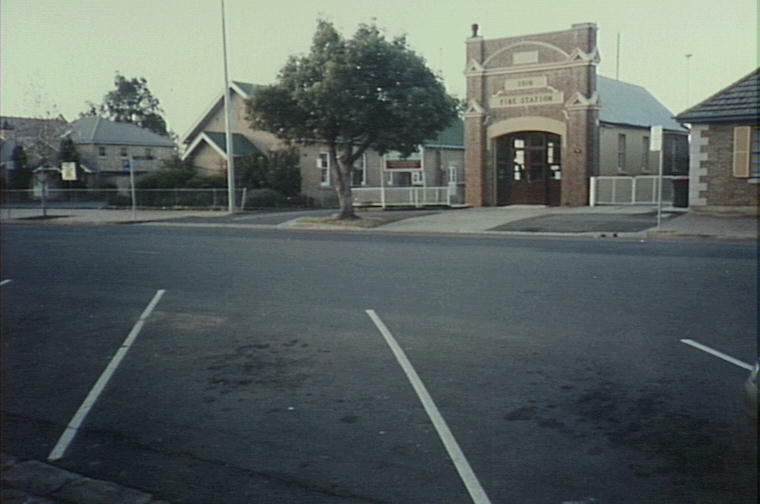 The Old Camden Fire Station, was an inoculation centre during the epidemic. Copyright: Camden Historical Society. The first was to set up an inoculation centre in the Camden Fire Station on John Street (now part of the Library) in February 1919. The first case appeared in April, and to deal with the outbreak an Emergency Hospital was established within Camden Public School. This first wave was contained quickly and relatively easily, and it seemed that Camden would be spared the worst to the pandemic that continued to rage in the outside world (Sidman, 2014). Camden Public School, which became the Emergency Hospital to deal with the 52 patients during the epidemic. Copyright: Camden Historical Society. But after 10 days of heavy rainfall in May a second wave of infections came. This time it was more virulent and was not so easily contained. It now called for great efforts from many people. In the end the virus would claim around 6000 people in NSW (The Influenza Epidemic of 1919). In Camden 52 patients were hospitalised with the disease and spent an average of 21 days fighting the disease. The two doctors to treat patients during this emergency were Dr. F.W. West and Dr. R.M. Crookston. West fell ill, leaving a double load for Crookston (Sidman, 2014). Although impacting the entire area, of those hospitalised only 4 would succumb to the disease. It was a show of great unity and strength in Camden, during a time that was already heavily charged with joy, sorrow, and reflection. N.A. (N.D.) Influenza Epidemic of 1919. Sydney Medical School. Nixon, R. (2005). Influenza Outbreak of 1919. The District Reporter. Sidman, G.V. (2014). Inspector Warned Against Kissing. The District Reporter.